Among the music publishing catalogs he has represented, acquired or sold include The Beatles' catalog ATV Music, Sony/ATV, Berry Gordy's Jobete Music, the Leiber and Stoller catalog, The Rodgers & Hammerstein Organization, the Kurt Cobain catalog, CBS Songs, and the Sly and Family Stone catalog. He has also represented such independent labels as Interscope Records, Maverick Records, Rhino Records, Rick Rubin's American Recordings, Jermaine Dupri's So So Def Recordings, and Richard Branson's Virgin Records, among others, and he has represented such celebrities such as Simon Cowell, Mike Tyson, Eddie Murphy and Don Johnson. Such artists as The Rolling Stones, Michael Jackson and The Jacksons, and Nickelback were in his representation as well. World famous people – world famous names. But he is not only one of the preeminent entertainment and corporate lawyers in the America today. He is an ardent baseball card collector, and has many rare cards. His uncle, Ralph Branca, pitched for the Brooklyn Dodgers for many years, including the 1947 World Series. And sometimes people call him the pitcher. He is pitcher' in law. We are not going to inventory the whole list of his win and gains - much of them are always available in lots of open sources. 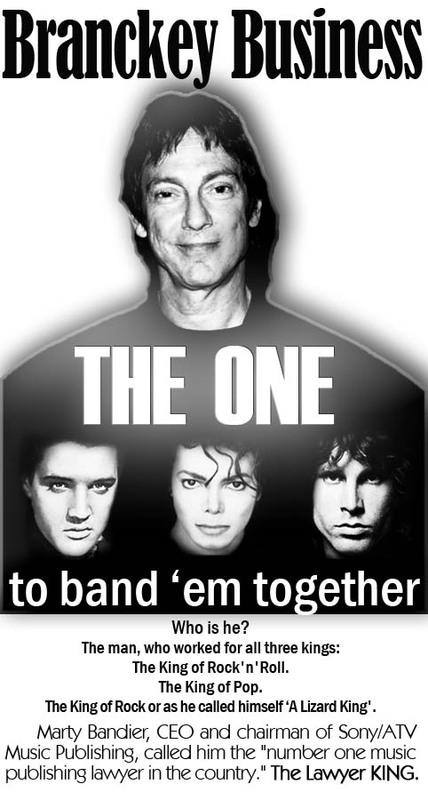 He is the one who bands together three leading musical figures of the time. He worked for The Doors. He represented the Presley estate. Everyone of this royal trio died suddenly in unclear circumstances. Lots of people have reasonable doubts about these three questionable authenticity deaths. If you ever happen to read something about it you will find many interesting identical facts. But their lawyer John G. Branca is the main thing that they have in common. Branca was instrumental in the production and release of Michael Jackson’s Thriller music video. Before Thriller, music videos typically had budgets of $50,000—however, Jackson spent over $1 million on the music video of Thriller. Branca financed it by persuading Showtime to pony up $1.2 million for a Making of "Thriller" video, the first "making of" documentary for a music video. In the video, Jackson turns into a werewolf. At the time, Jackson was a Jehovah's Witness, and church elders berated him for promoting demonology. Jackson ordered Branca, who had the sole copy, to destroy it. Branca told Jackson that Bela Lugosi, whom Jackson adored, and who played Dracula in the movies, was also religious and had put a disclaimer at the beginning of Dracula stating that he didn't endorse vampirism. This anecdote persuaded Jackson to put a similar disclaimer on Thriller and allow it to be released. 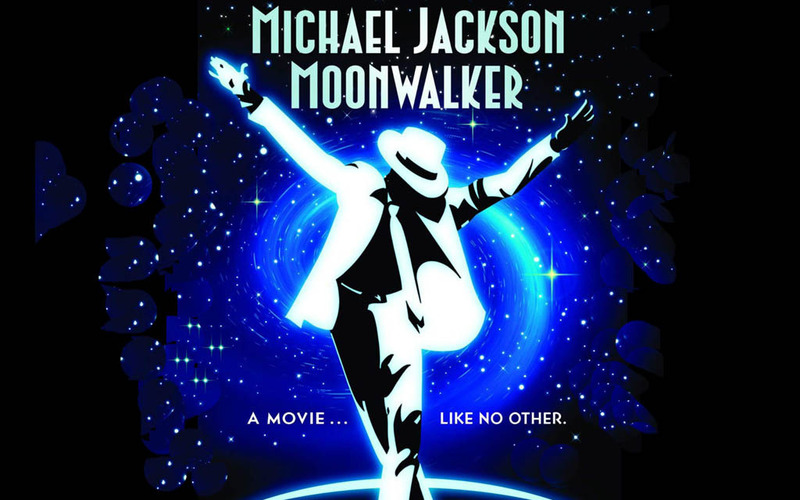 In the five days following, the Thriller CD - already out for 1 1/2 years, sold another million copies. The success of the video caused rock groups and record companies to consider music videos an essential part of the way rock music was packaged and sold. Branca arranged for Jackson to purchase The Beatles' and Little Richard's publishing catalog in 1985 for $47,000,000. Within a few years the catalog was worth more than $400,000,000. Branca was also instrumental in facilitating the merger of ATV (Jackson's company which held the Beatles song copyrights) with Sony, creating one of the world's largest independent music publishers. In the Michael Jackson probate case, Branca produced Jackson's final will and testament, which designated Branca as executor. The Jackson family filed a preemptive probate action in the Los Angeles Superior Court, based on the allegation that Jackson died "intestate," without a valid will. Branca filed the will in Los Angeles on July 1, 2009 and was appointed co-executor. Katherin Jackson has since filed a petition to the Court, asking for a determination whether she will be disinherited under the "no-contest" clause of the will if she challenges Branca's appointment as executor.